The original McNally Jackson Books location in SoHo in New York City will be closing next year, Bowery Boogie reported. A real estate company has listed the 5,700-square-foot space as available for July 2019 possession. A substantial rent increase is likely the cause for the closing. In a response on Twitter, the store wrote: "Guys! We haven't found the perfect new spot yet (we're working on it), but fear not--we are definitely staying in the neighborhood." In a statement, owner Sarah McNally confirmed that the store is moving out at the end of June and said she will make an announcement about a new location nearby soon. She added: "The soul of McNally Jackson is the books and the booksellers.... We have always prioritized our mission to be a hub of global literary culture, with 14,000 books in our literature section alone, divided by geography. I don't know a better retail resource for international literature, anywhere in the world. This we will keep, and translate into a new space." McNally opened the store in 2004 as McNally Robinson, part of the Canadian chain that her parents founded. In 2008, the store became independent and was renamed McNally Jackson. McNally Jackson has several other stores. 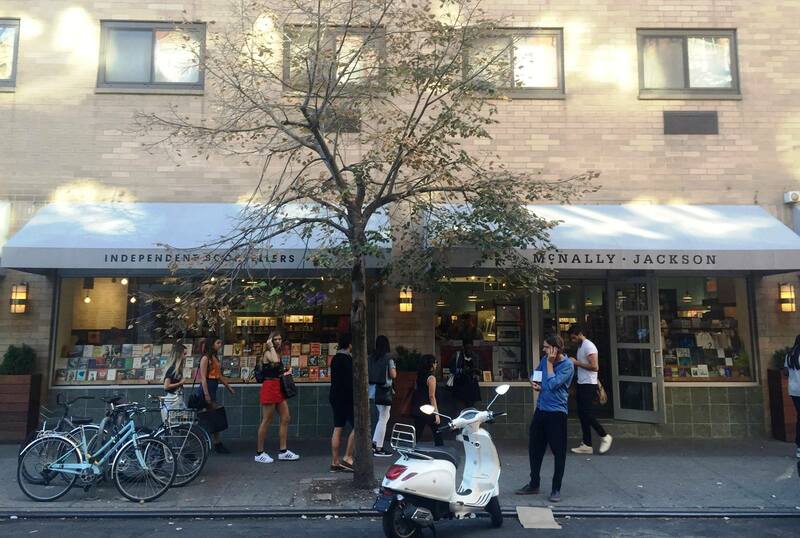 Earlier this year, a second McNally Jackson bookstore opened in Williamsburg in Brooklyn. There are also two Goods for the Study stores, one near the SoHo bookstore and the other in Greenwich Village. And in August, Hudson Group announced that it will open a bookstore with McNally Jackson in LaGuardia Airport's new Terminal B, which is opening in stages beginning this fall. Chimamanda Ngozi Adichie at the Frankfurt Book Fair yesterday. 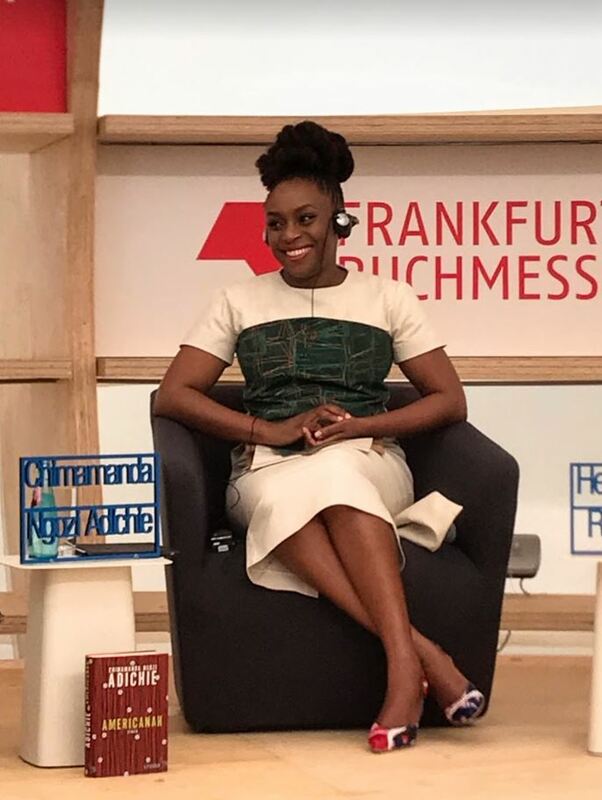 "We can no longer play by the old rules of complacency," said Chimamanda Ngozi Adichie, author of Americanah and Half of a Yellow Sun, during the opening press conference of the 2018 Frankfurt Book Fair yesterday morning. "We must invent new ways of doing, new ways of thinking." Her speech, along with the remarks of Juergen Boos, head of the Frankfurt Book Fair, and Heinrich Riethmueller, president of the German Booksellers and Publishers Association, did not shy away from the tense political climate in the U.S. and around the world as she advocated for diversity, equality and social change. At a time when the U.S. government resembles an intrigue-filled "feudal court... drowning in its own hubris," Adichie stressed the importance of recognizing the truth, speaking the truth, and especially of calling a lie a lie. She called, too, for more complex stories, saying that now is a time for boldness in storytelling and a time for new storytellers to emerge. "It is important to have a wide diversity of voices, not because we want to be politically correct, but because we want to be accurate," Adichie explained. "We cannot understand the world if we continue to pretend that a small fraction of the world is representative of the whole." Adichie recalled a time when an editor told her that a scene in one of her books, which she had based almost entirely on a real-life incident, was "completely unbelievable" and seemed "staged" in order to "say something about race." In the moment, Adichie did not protest, as she believed then that a writer couldn't use real life to justify fiction, that if a scene was unbelievable to a reader then the writer had "failed" at their art. But, Adichie noted, she has since started to question that idea. "What we believe or what we don't believe, what we find believable or we find unbelievable, is itself a framework of our own experiences," she said. "It is time to expand our boundaries, widen the framework, know that what already exists can sometimes be too narrow to fit the complex multiplicity of human experiences." Adichie reflected, too, on the need for women to speak out about their experiences and the often angry, sometimes violent reactions that occur when they do. She ascribed the phenomenon to a "big gap in the imaginative space of so many people in the world today," calling it an "inability to feel empathy for women, because the stories of women are not truly familiar." "Their stories are still not really heard," Adichie said. "It is time for us to pay more than just lip service to the fact that women's stories are for everyone." Adichie pointed out that while she believes that the world needs more overtly political stories, there is also a need for stories that are not overtly political, and she concluded her address with a reflection on the usefulness of literature. If usefulness ends with the concrete, she said, it may not be. But a human being, she continued, is not a "collection of logical bones and flesh." Humans are "emotional beings as much as we are physical beings," and usefulness should "relate to all of the parts that make us human." Run for Cover Bookstore and Café hosted its grand opening Friday, at 4912 Voltaire Street in the Ocean Beach neighborhood of San Diego, Calif. Owner Marianne Reiner, who told Shelf Awareness in August that she "had this idea of one day, I'm going to do this as a store," realized her dream with the weekend celebration. In a Sunday Facebook post, she wrote: "Humbled is how I feel tonight after our first full week-end in business at Run for Cover Bookstore and Café. What an incredible feeling to see my dream come true and to have an entire community of book lovers and coffee drinkers behind me and our little store. Words fail me to tell you how grateful I am for each and every one of your smiles, hugs, kind words, enthusiasm and your promise to come back again and again because you all feel that Ocean Beach was due for an Indie bookstore and café. And many of you came from well beyond OB which is such a sweet gift. "My head is overflowing with ideas and projects for our store. My heart is bouncing from all the love and support I am getting and my smile cannot be wiped off. The current political climate emphasizes why I think this community bookstore is more important than ever. I did not want to head to bed (for a much needed rest!) without telling all of you. Thank You for making this new bookseller so happy." Before the grand opening, Reiner had told the Union-Tribune: "People have shown that they want a community space where they can find books, and also other readers. They want to be able to meet authors, have story time for their children, hold book club meetings.... Probably a dozen times a day, people poke their heads into the store while we're remodeling and ask, 'When are you going to open?' It's been very heartening." Carlos Ezquerra, the "legendary Spanish artist who co-created Judge Dredd for 2000AD and gave the futuristic lawman his distinctive look," died October 1, the Guardian reported. He was 70. Ezquerra worked on Spanish war and westerns comics before beginning his career in British comics in 1973. He worked on Battle Picture Weekly, "drawing the adventures of the Dirty Dozen-inspired Rat Pack and later the strip Major Eazy, before editor and writer Pat Mills, who launched 2000AD in 1977, asked Ezquerra to come up with character designs for Judge Dredd. "Carlos was without a doubt 2000AD's greatest artist, and, indeed the premier artist of British comics," said Mills. "He was also a great guy to hang out with and he had a fabulous dark sense of humor. We will all miss him hugely." David Bishop, who was 2000AD editor from 1996 to 2000, called Ezquerra "a gigantic, innovative talent.... He put the work ahead of ego, turning down easier paydays to pursue strips like the ground-breaking El Mestizo, a black slave fighting in the American Civil War--hardly typical fare for British war comics. Decades into an incredible career he dove head-first into creating comics on computer when others were content to play it safe. His work is the imagery that generations of readers have grown up enjoying. Carlos was a true gentleman, and a terrible loss for everyone who loved him or his work." In a statement, 2000AD said: "It is no exaggeration to call Carlos Ezquerra one of the greatest comic book artists of all time, and his name deserves to be uttered alongside Kirby, Ditko, Miller, Moebius, and Eisner. Yet this doesn't really do justice to someone whose work was loved by millions and has had an influence far beyond the comic book page." 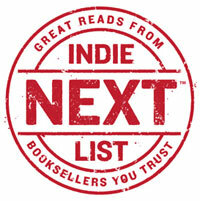 Last Thursday, the American Booksellers Association's e-newsletter edition of the Indie Next List for October was delivered to half a million of the country's best book readers. The newsletter was sent to customers of 132 independent bookstores, with a combined total of 499,687 subscribers. The e-newsletter, powered by Shelf Awareness, features all of the month's Indie Next List titles, with bookseller quotes and "buy now" buttons that lead directly to the purchase page for the title on the sending store's website. The newsletter, which is branded with each store's logo, also includes an interview (from Bookselling This Week) with the author whose book was chosen by booksellers as the number-one Indie Next List pick for the month, in this case Virgil Wander by Leif Enger (Grove Press). 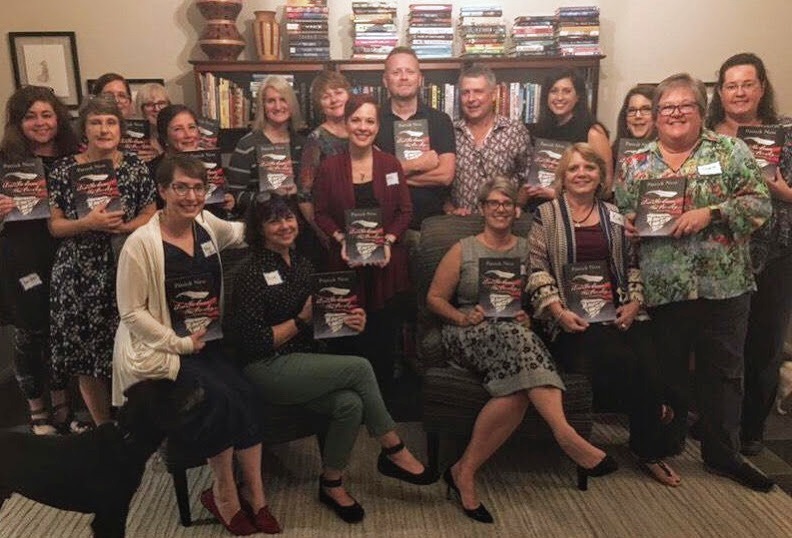 For a sample of the September newsletter, see this one from River Bend Bookshop, Glastonbury, Conn.
Blue Willow Bookshop, Houston, Tex., hosted a dinner party for Patrick Ness, author of And the Ocean Was Our Sky (HarperTeen), at the home of Valerie Koehler, Blue Willow's owner, and her husband, Greg. They were joined by local authors and educators. Jennifer Edwards has been promoted to v-p, children's sales, at Macmillan. She was formerly national account manager. Before joining Macmillan in 2006 as marketing manager for distribution clients, she held marketing positions at Random House. 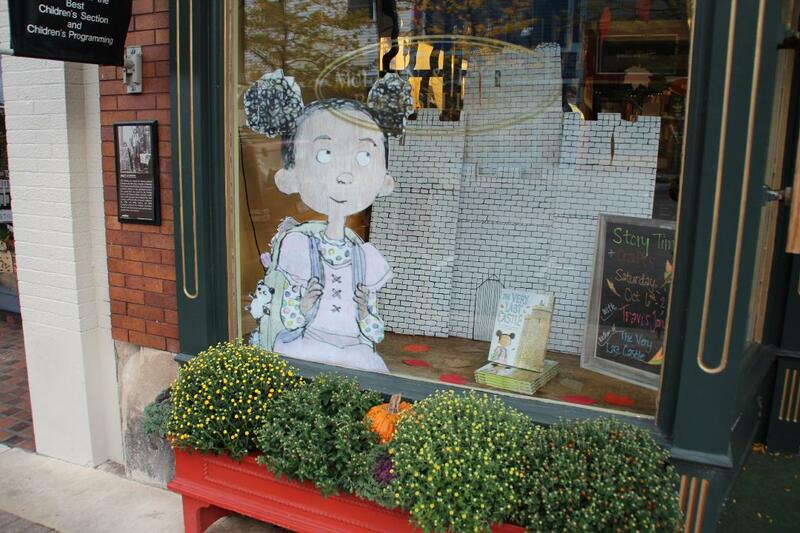 Matt Norcross, co-owner of McLean & Eakin Books, Petoskey, Mich., shared photos of the store's window display for the new picture book The Very Last Castle by Travis Jonker, illustrated by Mark Pett (Abrams Books for Young Readers). "I think my staff did an exceptional job on this one," Norcross noted. Teachers College Press, the university press of Teachers College, Columbia University, which publishes books for educators about theory and practice in areas from infant/toddler to adult learning as well as in other disciplines, including psychology, sociology and culture, history, philosophy and women's studies. Effective October 1; worldwide warehousing and fulfillment. Behrman House, which publishes Jewish educational materials used in schools throughout North America and in English-speaking countries around the world. The press has 1,100 titles in print and has an illustrated children's storybook imprint, Apples & Honey Press. Effective November 1, 2018, U.S. warehousing and fulfillment. Aviation Supplies and Academics, which publishes aviation books and produces pilot supplies in the U.S. Effective January 1, 2019; U.S., Canada and international sales and distribution. Kaminn Media, which publishes John Brierley's guidebooks to the Camino de Santiago. Effective January 1, 2019; sales and distribution in the U.S., Canada and international, excluding the U.K. and Europe. Urbane Publications, a U.K. publisher of crime fiction and thrillers, contemporary fiction, literary fiction and business titles. Effective January 1, 2019; sales and distribution in the U.S., Canada and international, excluding the U.K. and Ireland. WunderMill, a children's publisher with two imprints, Persnickety Press and the Cornell Lab Publishing Group. In spring, it will publish new titles from Jane Yolen, author of Owl Moon. Effective January 1, 2019; U.S. and Canada sales and distribution. The Sutherland House, which publishes narrative nonfiction. The press was founded by Ken Whyte, former editor-in-chief of Saturday Night Magazine, founding editor of the National Post, former editor and publisher of Maclean's magazine, and author of Hoover: An Extraordinary Life in Extraordinary Times (Knopf, 2017). Effective January 1, 2019; sales and distribution in the U.S. and international, excluding Canada. Bushel & Peck Books, a start-up children's publisher that will release its first titles in fall 2019 and is headed by David Miles, former publishing director and a partner at Familius. Effective June 1, 2019; sales and distribution in the U.S., Canada and international. Obvious State, a studio that creates art prints, mugs, tote bags, and postcard sets inspired by literary classics. Effective January 1, 2019; international sales, excluding the U.S. and Canada, through Global Publishers Services. Microcosm Publishing, Portland, Ore., which publishes in the categories of pop culture, how-to, self-help, erotica, lifestyle, sports, music, transportation, and has a gift line of T shirts and other merchandise. Effective January 1, 2019; international sales, excluding the U.K., U.S. and Canada, through Global Publishers Services. A Spark of Light by Jodi Picoult (Ballantine). CBS This Morning: Todd Rose, co-author of Dark Horse: Achieving Success Through the Pursuit of Fulfillment (HarperOne, $28.99, 9780062683632). Ellen: Ellie Kemper, author of My Squirrel Days (Scribner, $26, 9781501163340). Steve Harvey: Ryan Serhant, author of Sell It Like Serhant: How to Sell More, Earn More, and Become the Ultimate Sales Machine (Hachette Books, $28, 9780316449571). Daily Show: Nicole Chung, author of All You Can Ever Know: A Memoir (Catapult, $26, 9781936787975). Late Show with Stephen Colbert repeat: Neil deGrasse Tyson, author of Accessory to War: The Unspoken Alliance Between Astrophysics and the Military (Norton, $30, 9780393064445). The adaptation of Jennifer Niven's 2015 YA novel All the Bright Places "has landed at Netflix and has rounded out its cast as it heads into production," according to the Hollywood Reporter, which noted that Alexandra Shipp, Keegan-Michael Key and Luke Wilson are joining a cast that includes Elle Fanning, Justice Smith, Kelli O'Hara, Virginia Gardner, Felix Mallard, Lamar Johnson and Sofia Hasmik. Brett Haley (Hearts Beat Loud) will direct from a script by Niven and Liz Hannah (The Post). The movie has begun filming in Cleveland, Ohio. Fanning is producing, along with Mazur Kaplan's Paula Mazur and Mitchell Kaplan (owner of Books & Books in southern Florida and the Cayman Islands) and Echo Lake's Andrew Spaulding, Doug Mankoff and Brittany Kahan. Hannah, Robert Salerno, Kimi Armstrong Stein are exec producing. Women Talking: A Novel by Miriam Toews (Bloomsbury) was voted BuzzBooks contest winner at the Pacific Northwest Booksellers Association Trade Show in Tacoma, Wash., at the end of September. About 200 punch cards were handed out to attendees who visited seven exhibits for publisher pitches on recent and upcoming titles across several genres. Attendee booth stops were verified with a stamp from the rep. Once all stamps were received, participants then voted for the book they were most excited about recommending to patrons of Northwest libraries and bookstores. Bloomsbury described the book as "Eight Mennonite women climb into a hay loft for a secret meeting to decide their futures." 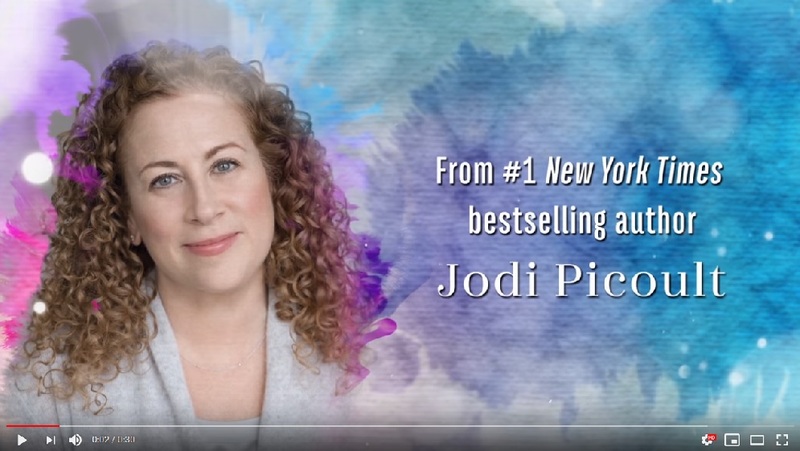 Women Talking will be published April 2, 2019. In a year when no Nobel Prize will be given in literature, it's heartening to see that several prize winners in other categories have books available. Nadia Murad, co-winner of the Nobel Peace Prize, is the author of The Last Girl: My Story of Captivity, and My Fight Against the Islamic State (Tim Duggan Books), originally published here in hardcover last November, now coming out in paperback October 16. William D. Nordhaus, co-winner of the Nobel in economic sciences, has two timely books: The Climate Casino: Risk, Uncertainty, and Economics for a Warming World and A Question of Balance: Weighing the Options on Global Warming Policies, both published by Yale University Press. Julissa Arce is a contributor to CNBC and Crooked Media, and a speaker and social justice advocate. 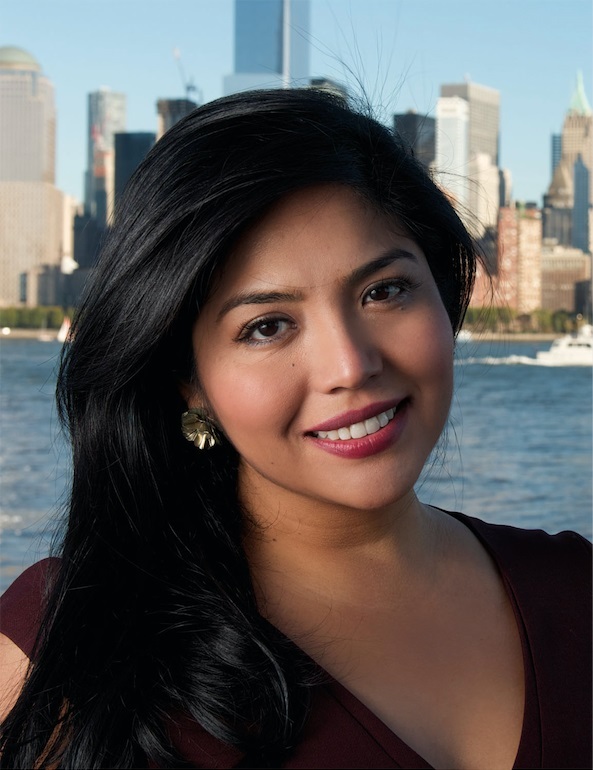 She is the cofounder and chairman of the Ascend Educational Fund, a college scholarship and mentorship program that assists immigrant students, regardless of their immigration status, ethnicity or national origin. Prior to becoming an advocate, she built a successful career on Wall Street, working at Goldman Sachs and Merrill Lynch. 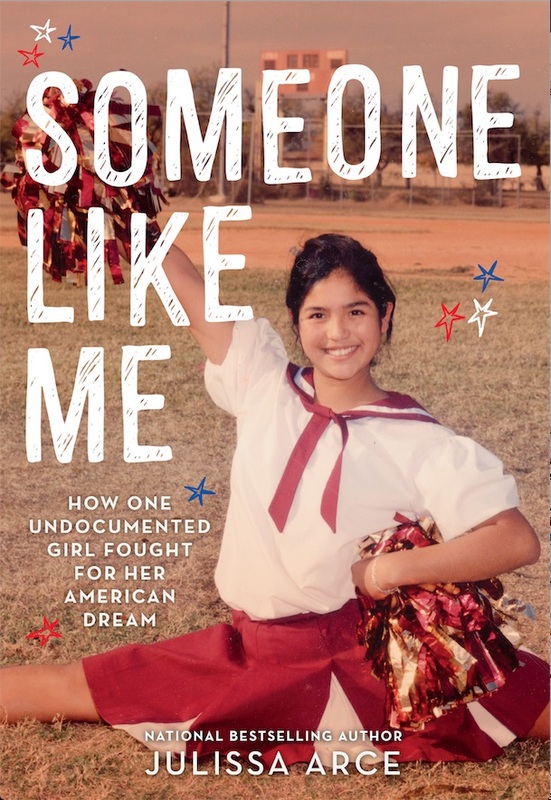 She has adapted her adult book, My (Underground) American Dream, for young readers: Someone Like Me is available now from Little, Brown. On my nightstand at home is The Latino Reader: An American Literary Tradition from 1542 to the Present, edited by Harold Augenbraum and Margarite Fernández Olmos. It is a great collection of poetry, fiction and memoir from some of the best writers in history. I love learning about Latin America from the perspective of beautiful works of literature. I travel a lot, so on my virtual nightstand is A Cup of Water Under My Bed by Daisy Hernández and Why We Can't Wait by Dr. Martin Luther King, Jr.
Where the Red Fern Grows by Wilson Rawls was the first book I read in English that I understood, and that made me cry. I felt a huge sense of accomplishment to be able to read a book in English after struggling to learn the language in sixth grade. I fell in love with the characters and with animals. I knew then that love transcends language, borders and even humans. Reyna Grande, Sandra Cisneros, Paulo Coelho, Malcolm Gladwell, Gabriel García Márquez, Ernest Hemingway and F. Scott Fitzgerald. I know that's more than five, but I couldn't narrow it down any more than this. Every book I "read" in sixth grade! I didn't speak English and my mom didn't want to enroll me in bilingual education because she thought I would fall behind. I tried to read every book, but I didn't understand a single word that was on the page. Luckily, by the time I was in seventh grade I knew enough English to enjoy reading. The Distance Between Us by Reyna Grande. It's a book that every person needs to read. It is beautifully written, and Reyna tells the story of her childhood with pain, love and triumph on every page. Love the One You're With by Emily Giffin is a book I can remember buying for the cover. It turned out to be a very fun and light read. But there have been many. I love picking up a book I know nothing about and seeing what story I find in it. I didn't so much hide a book from my parents as much as I told them I needed it for school, when I really just wanted to have it. It was a book about Nirvana and Kurt Cobain. The Alchemist by Paulo Coelho. I read it at a time when I wondered where life was leading me. I was undocumented with no solution to fix my immigration status. Reading The Alchemist made me realize that our biggest treasures are within and not having a legal status didn't have to define me. I don't remember the exact line, and I am on the road so I can't look it up in the book. But it's a line from The Distance Between Us where Reyna describes her grandmother, who is hunchbacked, as "walking with a sack of corn on her back." The line took my breath away. How to Win Friends and Influence People by Dale Carnegie, this book also changed my life. It taught me that in order for people to care, you have to care about them first. My copy of The Odyssey by Homer; I've read it about 10 times in my life and every time I read it I fall in love with it all over again. My Bible--whether you are religious or not, each book in the Bible is a beautiful piece of literature. All the rest of my books I could part with because I love sharing them with others. The House on Mango Street by Sandra Cisneros because it was the first book I read written by someone like me, a Mexican woman. I had read many books by the time I picked up Sandra's work, and I could relate to many of them, but this book was different. It spoke of experiences I had lived through, and it validated feelings I thought I was crazy for having. For a long time, I couldn't travel outside the United States because of my immigration status, and books gave me a sense of freedom I did not find anywhere else. Books transported me to faraway places, and they let me imagine a different future for myself and my family. Five-time Coretta Scott King Award recipient Sharon M. Draper (Out of My Mind, Stella by Starlight, Panic) offers a timely middle-grade novel that addresses divorce, racism and identity in her trademark empathic and accessible style. Isabella Badia Thornton is an exceptional pianist, has two fabulous best friends, is obsessed with making glitter slime, and has loving, supportive parents. Unfortunately, her parents are not so loving with each other anymore--when Isabella was eight, they divorced. The adjustment was challenging, of course, but now Isabella (or Izzy, as her mom calls her) is 11, and things have gotten rougher. Her dad, who had been living in California, moved back to Ohio last year and the court has ordered that she spend alternating weeks with each parent: "Sunday, at exactly 3:00 p.m., in front of the Apple Store at the mall, I am exchanged like a wrong-size pair of jeans.... they love me and all that, but it doesn't stop them from slicing my life in half every seven days." Her parents are fighting more than ever and the tension is unbearable, especially when both make plans to marry their new partners on the same day. Underneath the stress of feuding parents, however, is Izzy's dawning awareness that having a black father and a white mother brings an array of complications. "Do you think people think I'm black or white when they see me? Am I black? Or white?" she asks her father. He replies, koan-like, "Yes." And when her black friend Imani finds a noose in her locker after a classroom discussion about lynching, the issue is suddenly even more immediate. "What if next time someone hurts Imani, like physically?" Izzy wonders. "Or someone else? Who looks like her. Who looks like...."
When she considers herself in the mirror, Izzy sees both her parents. "It's like half of Dad and half of Mom got put in a blender, and the churned-up result was me," she says. 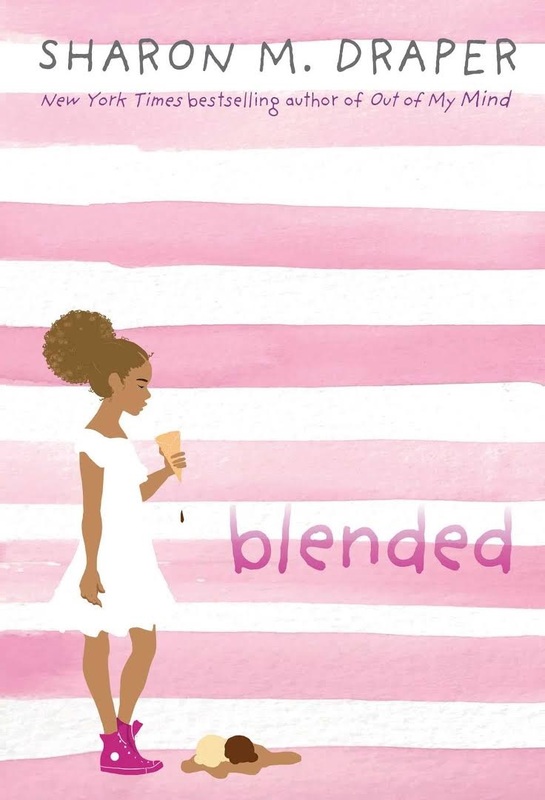 But a blended family is not as smooth a mix. The back-and-forth trudge between households is disruptive and confusing. "The real me?" she asks. "I have no idea who that is. Especially since there's pretty much two of me." As Isabella, cheerful by nature, struggles to navigate the year's challenges, she finds solace in practicing for an important recital, not unaware of the symbolism of the keys of her instrument. "Using only my fingers, I can make the black and white keys dance together and do whatever I want," she thinks. Shelf Talker: An ebullient 11-year-old struggles to inhabit her identity as the child of divorced parents--one black, one white--as racist incidents in her community creep ever closer to her own world.